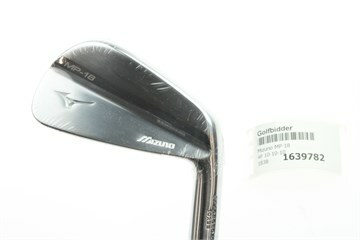 MAJOR WINNING DNA: A shorter blade length and low heel profile influenced by our catalogue of major winning irons. 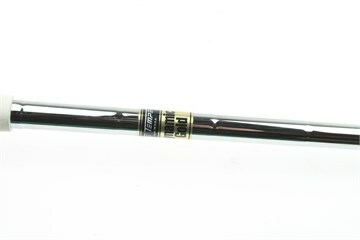 ULTRA-THIN TOP LINE: A narrow topline has an additional camber for further refinement. SMALLER SHORT IRONS: Sharper, more refined short irons into the pitching wedge - influenced to our Yoro Master craftsmen. FORGED IN HIROSHIMA JAPAN AT MIZUNO'S EXCLUSIVE PLANT: Grain Flow Forged from a single billet for incredible feel and distance control. FLOWS INTO ANY MP-18 SPLIT SET: The MP-18, MP-18 SC and MP-18 MMC flow together within a custom built, mixed set. My rogue irons had been sent back to Callaway for repair but I was going away on holiday and had a few rounds booked. I liked the look of these and always wanted to try a bladed iron. Well they are just amazing, I am actually striking these better than the rogues and lose about 10 yards on my 7,8,9, P irons but I hit the 5 and 6 better than my rogues, possibly due to more loft. Great clubs and the new rogue irons probably wont get their place back in the bag. They are just beautiful. The feel and sound is excellent, best clubs i've ever had. 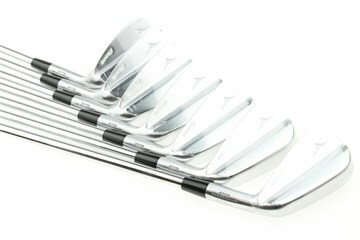 I've gamed several Mizuno irons from mx 200 to mp h5, but these are in a whole other league. 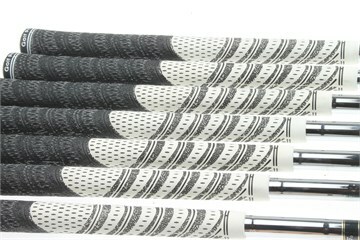 They are indeed as soft as butter, the ball just seems to kling in the golfclub forever. 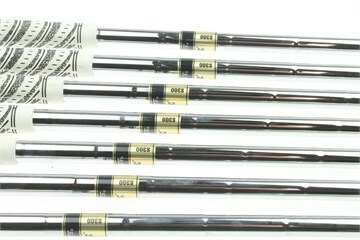 The Nippon modes 3 tour 105 S are ideal for an average swing speed like mine (160 yds carry with 7 iron). The clubs were in almost perfect condition. they couldn't have been played with than a couple of rounds. Thank you Golfbidder.